Health Contribution, Inc. is a registered 501(c)(3) public charity. All donations are tax-deductable. Health Contribution’s stated goal is to contribute to greater health on a local, regional, national and global scale through better nutrition, easier and more efficient exercise and natural healing methods not explored in medicine. Our mission tackles common health concerns that can be helped through nutrition, exercise and other methods many have not heard about. Diabetes is one. Aging, with anti-aging is another. Erectile dysfunction is a third. There are many health problems that can be avoided and lessened through practical diet and lifestyle changes and Health Contribution wants to contribute to increasing the good health in others. The medical industry has failed us. 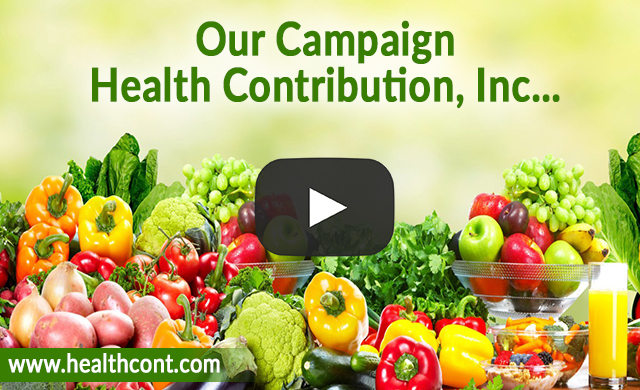 Help Health Contribution, Inc. tackle common health problems and contribute to our cause. 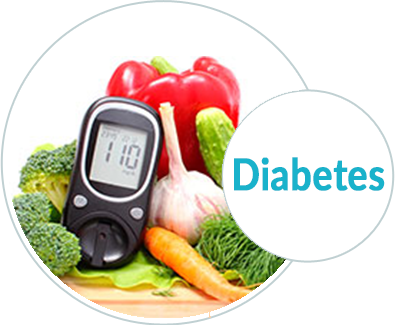 Health Contribution’s educational awareness initiatives have helped over 13,542 type 2 diabetics gain control of their blood sugar levels and insulin sensitivity, and allowed many of them to be taken off many of their prescription drugs and stop blood sugar monitoring. This year we are on track to contribute to another 10,000 diabetics’ better health. The diabetes breakthroughs from better nutrition in diets is more or as effective as the leading type 2 drug at normalizing blood sugar. Some studies have shown how patients are able to fix insulin resistance, reduce neuropathy pain, prevent blindness, amputations and other diabetes problems with better nutrition and specific diets. These techniques have been used successfully by tens of thousands of people in over 40 countries allowing them to lower their need for drugs and injections. Health Contribution, Inc. wants to show that people with type 2 diabetes can normalize blood sugar, increase insulin sensitivity, reduce neuropathy pain, lower risk of blindness, amputations and hope to be taken off all diabetes drugs and insulin injections. You are what you eat. It’s a tired cliché but it’s true. What you put into your body is what your body uses to create and re-create itself. If you’re in bad health, it’s likely the poor nutrition in your diet has contributed to that. Health Contribution wants to raise awareness to the fact that through better nutrition in your diet, you can not only look and feel better, but also ‘cure’ or at least improve many common heath ailments and concerns. Your diet can be improved and Health Contribution can help you do that and does do that for tens of thousands of people in our own region and throughout the world. Our awareness programs help educate individuals on first the fact that so much of their health can be improved with a better diet and secondly, how to do it. Obesity is one such example. 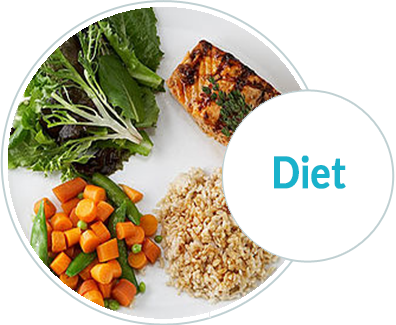 Through a specific diet designed through bio-individuality, one can burn fat with less exercise. Better nutrition can also slow the aging process. Besides nutrition, Health Contribution, Inc. focuses on 2 other important factors that contribute to better health. The first being exercise. There is already so much out there about how to exercise and all the new and fun ways to do it. Our focus is new and fun as well, but also efficiency and integrating the practices with the nutritional diets and lifestyle changes advocated earlier. Our focus is also not on body sculpting and in the ‘beach body’. Our focus is instead on exercise for health; the elimination of fat, toxins within the body and heart health. Our 2nd focus is natural healing methods. We believe the medical industry doesn’t do a proper job in preventing health issues before they become issues. It does an excellent job in treating illness but not in preventing it. Much of the common health problems seen today can be prevented through better lifestyle choices, better nutrition in diets and efficient exercise. After that, natural healing methods can tackle any issues that arise from there. Health Contribution, Inc. takes a natural healing approach to both the preventative side and the healing side. Everything we need to be healthy already exists naturally. Surprisingly and unfortunately we are in a health war. The food companies and other special interests do not have the population’s health as their highest concern. They want to sell food and make a profit. This isn’t their fault, it’s how the economy expands and provides jobs. They sell what people will buy and this isn’t always in the best interests of the consumers. I get it- the food people want to eat (and can afford) is not always the healthiest. That’s where we want to make a difference. Health Contribution, Inc. wants to improve health through education and awareness of what foods and lifestyle choices lead to better health. It’s also awareness in what unhealthy foods can do to contribute to bad health. We can win this war by making healthy choices fun and the first choice regardless of nutritional value. We can make exercise fun and often more importantly, fast and easy. A lot to do is necessary to make this a reality. The universe has made unhealthy food taste the best and overeating pleasurable. We don’t have to just do what our base instincts tell us though. We can use our intelligence and inner motive to be healthy and feel better to change our lifestyle choices and live better, smarter lives. Health Contribution, Inc. needs your help though. Fighting the food companies and mass media is not easy or cheap. They have unlimited budgets to push their sugar and other carbohydrates. We need just a little bit of your help to raise awareness to the best practices of nutritional diets and efficient exercise. Donate or contribute in any way possible so we can help contribute to the health of as many as we can. We need you and they need you. Our Federal Identification Number is 81-2729580, and a copy of the IRS letter confirming our 501(c)(3) status is available upon request. Health Contribution, Inc. only accepts donations where it is registered or where no registration is required.